We pride ourselves on our realistic approach to ArmA while understanding that it is still a game and we're all here to enjoy playing it. We are fortunate to have a number of serving and former members of the British Army, Royal Marines Commandos and the other HM Armed Forces amongst the Senior NCOs and Other Ranks, who ensure our tactics remain current and as realistic as possible. We aren’t looking for the most uber-1337 h4xx0r gamer (though we do have one or two), nor are we looking only for people with military experience. The ideal ‘VCBer’ is one who enjoys playing ArmA, has a laugh, isn’t easily offended (quite important with some of our language!) and wants to have a good time learning and putting into practice the training they receive. If you're interested in applying to VOLCBAT, you must meet the below requirements. If this all sounds like something you think you could commit to and would enjoy, then follow the application process below. Fill in the application form. 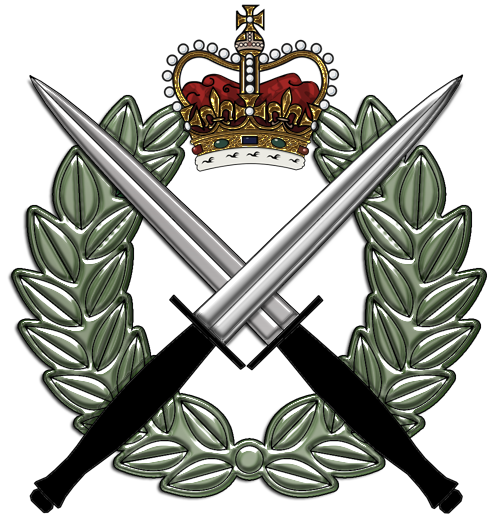 Your application will be posted to our public Recruitment forum, then picked up by one of the NCO team and will be reviewed by Pl HQ. Typically this takes 2 to 3 days but if we are experiencing a high volume of recruits this may take considerably longer. You will be informed if this is the case. If your application is accepted, you will become a Recruit and invited to the Recruit Staging forum where you will find a guide on how to get setup for Phase 1 Training. You should introduce yourself to the platoon and check the training schedule for the next available Phase 1. On acceptance of your application a Senior Rifleman will contact you via a Private Message on the forum, so be sure to check regularly. SR's are experienced members of the platoon who will help you through your probationary period until you are permanently posted to a Section. It is your responsibility to ensure your game, mods and shortcut keys are in working order before Phase 1 Training starts. Your SR can help you if you have any problems. Please note that if you are not ready by the time Phase 1 starts you will not be able to complete the training. It is very important that you contact your SR as soon as possible to avoid disappointment. Do not leave it until the last minute! Upon completion of Phase 1 you're up to speed and will be able to join in VCB mission nights and explore other aspects of our community. You will be on probation for your first four complete missions but once Platoon HQ is happy with your performance you will be posted to one of the infantry sections and become a full VOLCBAT member.